You'll be £4.99 closer to your next £10.00 credit when you purchase Seizing the Enigma. What's this? For almost four desperate years, from 1939 to mid-1943, the British and American navies fought a savage, losing battle against German submarine wolfpacks. The Allies might never have turned the tide without an intelligence coup. 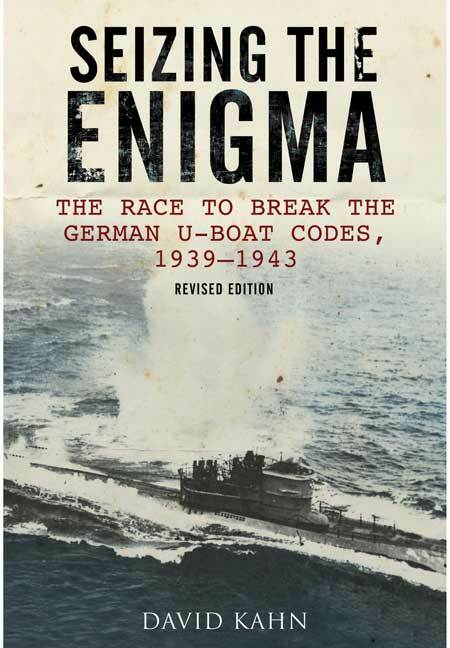 The race to break the German U-boat codes is one of the greatest untold stories of World War II. Kahn expertly brings this tale to life in this newly-updated edition of his classic book. Soon after war broke out, Hitler's U-boats began to sever Allied lifelines. In the gray wasteland of the North Atlantic, submarines prowled; at night, the sky lit up with the flames of exploding tankers. To meet the growing crisis, ingenious amateurs joined the nucleus of dedicated professionals at Bletchley Park. As the Battle of the Atlantic raged, they raced to unlock the continually changing German naval codes. Their mission: to read the U-boat messages of Hitler's cipher device, the Enigma. Critical to their success was a series of raids at sea. U-110, captured intact in the mid-Atlantic, yielded the Enigma machine itself and also a trove of secret documents. The weather ship Lauenburg seized near the Arctic ice pack provided codesettings for an entire month. In the Mediterranean, two sailors rescued a German weather cipher than enabled the team at Bletchley to solve the Enigma after a year-long blackout. Kahn, a noted historian of code-breaking (expertly describes) high drama at sea seizing German codebooks and equipment, and analytical genius ashore . . . Informed laypersons and specialists will find this book valuable and intriguing.